This page is a resource for current students in the program – use the links below to find out what courses are required, how to contact an advisor, and what career opportunities are available for ESES students! A detailed list of the requirements of the Bachelor of Earth, Society and Environmental Sustainability at the University of Illinois at Urbana Champaign. 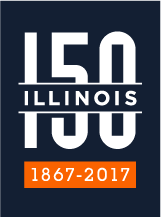 A detailed list of the requirements of the Minor in Earth, Society and the Environment at the University of Illinois at Urbana Champaign. Below are the lists of current courses offered that satisfy requirements in the major. Our graduates go into a wide variety of environmental and sustainability careers – a rapidly growing sector of the economy. See our Careers and Internship pages. Get planning information and talk to an advisor about your degree. If you'd rather find out more about the program first, or just see how the major fits with your past courses and future plans, come by and visit an academic advisor. To arrange an appointment call Ms. Lana Holben at +1.217.244.4064. Also, please feel free to send general inquiries about the ESES major to one of our advisors.